Rotational farming practices have been part of the livelihood of the Karen people in Northern Thailand for time immemorial. 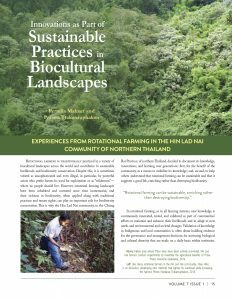 Those landscapes are rich in biodiversity, and have been wisely managed by their inhabitants, which continuously introduce rotational farming innovations as part of a refinement process in their traditional knowledge and practices. One such innovation was the intensified utilization of a native tree named P’dav (Macaranga denticulata) in fallow fields which, among other benefits, helps to restore soil fertility, reduces the presence of weeds, and retains water, while also creating a suitable habitat for other species. The community of Hin Lad Nai decided to start documenting those practices and to pilot the multiple evidence-based approach in which Indigenous, local, and western scientific knowledge systems are seen as equally valid, legitimate, and useful each on their own term. SwedBio in collaboration with partners is engaged in the development and piloting of this approach, the aim being to mobilise knowledge, generate mutual understanding and recognition about the sustainability of indigenous and local knowledge and practices, and find synergies and new solutions for enhanced biodiversity governance across knowledge systems. The evidence gathered within this framework can inform policy and decision-making, contributing valuable perspectives and solutions, generated endogenously within local communities. 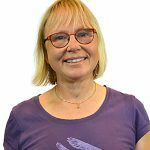 The article is authored by Pernilla Malmer, SwedBio, and Prasert Trakansuphakon, Pgakenyaw Association for Sustainable Development and Inter Mountain Peoples Education and Culture in Thailand Association, and is made available by courtesy of Terralingua.